Ahhhh….Hawaii. I never thought I would have made it there with a toddler, but I did, and it was great! With a whirlwind 4 day trip to Maui, we saw as much of the island as possible, and it was a perfect mix of adventure and relaxation!..Read more! Hudson is one of our favorite places to travel upstate. Sure we have our favorite spots, but this last minute weekend trip had the ideal mix of old favorites and some fun new surprises (namely the Hudson-Athens Lighthouse and one of my favorite new discoveries, the outdoor sculpture park, Art Omi)!..Read more! Sylvania Tree Farm is officially my favorite place to camp. I know I’ve always touted the appeal of the walk-in spots at Little Pond State Campground where you can hike in and camp right on the lake. It is nice, but you know what, Sylvania is nicer. Why? Sylvania has camp sites right along the Delaware River that are large, private, and beautiful…Read more! Every September when I get that hint of a cool breeze, I know my favorite season is on the horizon. I can already smell the crackling fire, pumpkin spice, and warm apple pie. IT’S FALL YA’LL! And what better way to bring in the season than with a classic fall activity that is ideal family fun (and a great setting for charming photo ops), yes, I’m talking about APPLE PICKING! There are countless farms upstate where you can pick your own apples and (I’ve been to many), but the one we keep going back to is Fishkill Farms…Read more! Macedonia Brook State Park is a steady go-to for us when it comes to camping. While many of the other state campgrounds we like tend to book up quickly (I’m looking at you Little Pond and Mongaup Pond), for some crazy reason, we never seem to have a problem finding a last-minute site at Macedonia (we book them all at Reserve America). Perhaps it’s because the site doesn’t have a lake? 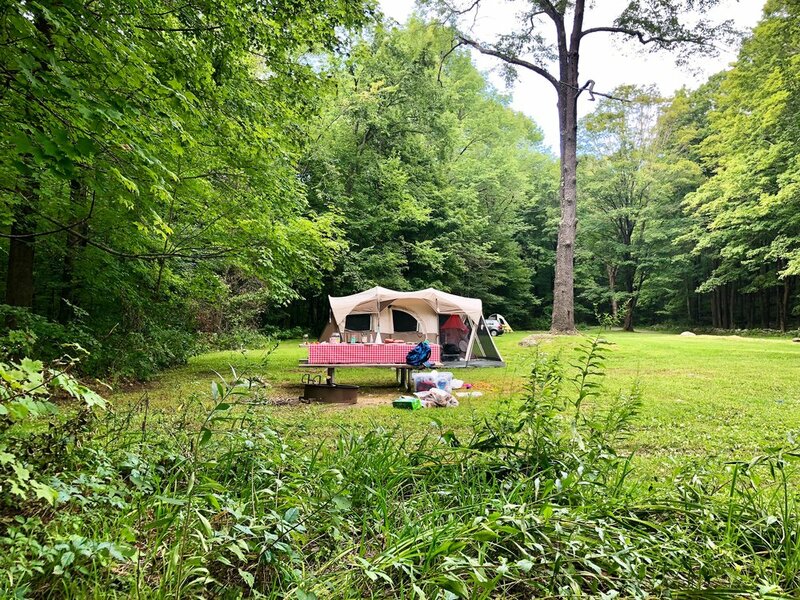 But what it does offer (along with the normal amenities like a picnic table and fire pit with grill) is a beautiful brook, large and relatively private campsites, lush green grass, and quiet laid back vibes!..Read more! You guys! I know I'm an excitable person and say lots of nice things about lots of nice places, BUT this is hands down my FAVORITE place I have EVER STAYED! And I never would have found it if our friends Sara and Frank hadn't planned their wedding there. In fact, we already had our one big summer trip to Italy all planned out when the invitation to the wedding rolled in. So what did we do? Moved our Italy trip of course and combined it with the wedding in Portugal! And it was worth every penny because as undeniably beautiful as Italy was, our stay at Sao Lourenco do Barrocal ended up being the highlight of our whole trip!..Read more! Inspiration for a Harris family vacation can come from anywhere. And by "anywhere" I usually mean The Bachelor or Bachelorette. But for this year's big trip, Master of None Season 2 got me looking at Italy and then Call Me By Your Name sealed the deal. That and Sally loves pasta and I love wine (and pasta) so it pretty much a no-brainer...Read more! If you have a toddler, you've probably heard of the Mr. Rogers animated spin-off, Daniel Tiger's Neighborhood. Well, Sally is nothing short of obsessed with the show! The bad news is I often find the intro song stuck in my head as I'm doing the dishes or on my daily commute to work. The good news is that as far as toddler tv goes, Daniel Tiger is a pretty solid roll model and with that, Sally has learned a ton -- from expressing her emotions (when she's frustrated she now says "I'm so mad!!!" along with adorably folding her arms) to developing a healthy love of trollies (ding, ding!). So when we saw a sign off the highway for the Connecticut Trolley Museum (while on our way to a weekend visit to the Thimble Islands) we obviously had to stop! Read more! When you ask people about great campgrounds in the Catskills, somehow Little Pond Campground always seems to comes up. And for good reason. Read more! Another Memorial Day calls for another trip to our most favorite place to stay, Whiteface Lodge! Why? Because Whiteface Lodge in Lake Placid, NY is where Alan and I got hitched three years ago and we've made a tradition of trying to get back there every year for our anniversary. I wrote up last years trip, but this year was totally different now that Sally is a year older! There were lots of new activities for her to try (making s'mores, a game room, and a beach) and plenty we're excited for her to grow into (a movie theater, a catch and release fishing (eek, not my jam), bowling, and even tennis). Plus, this trip we explored a few interesting wildlife experiences that we'd never been to before. So lots to tell...Read more! Going down an Instagram rabbit hole, I came across an Airbnb that looked adorable. Little Lake Barn was a unique cabin with mid-century decor and a fire pit. Done and done. Nothing against doilies, teddy bear decorations, and grandma's spoon collection, but it was great to find a cabin that felt fresh and stylish. Not to mention, I'm obsessed with those mod cone shaped fireplaces, and this place had one! Looking forward to also checking out a few of small towns in the area (Honesdale, Hawley, and Narrowsburg) and an art exhibit I'd heard about called Paper Caves, I immediately booked it for the first available weekend...Read more! Mid-Century Modern...so hot right now. The clean lines, the floor to ceiling windows, the asymmetrical profiles...what's not to love? It's easy to picture the perfect family playing in the yard or Don the Drapes sipping a cocktail on the patio. I've always wanted to do one of those Palm Springs mid-century house tours (but Palm Springs is so far away!) 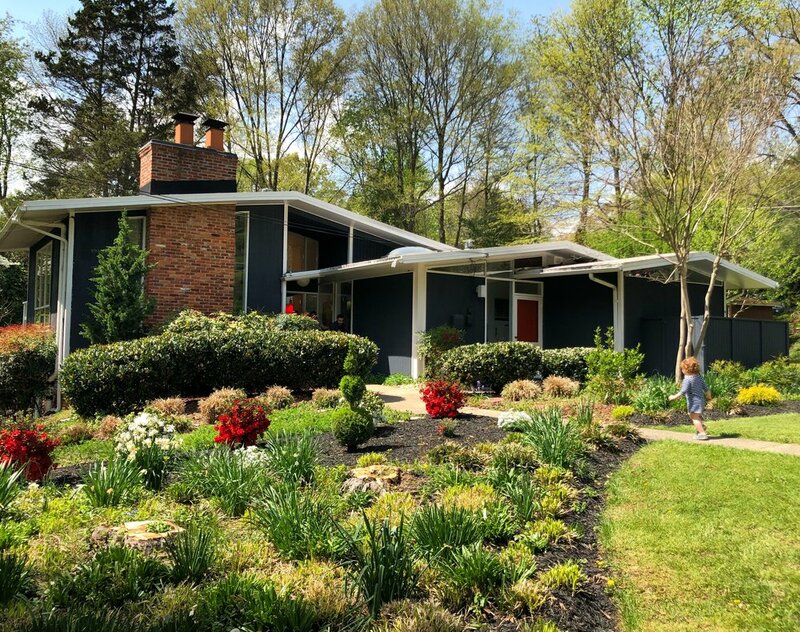 so when our friend told us about an annual midcentury house tour of her childhood neighborhood, Hollin Hills, just outside D.C. (only a weekend road trip away), we jumped!..Read more! Despite Spring being in full effect and there being a handful of gorgeous days, on occasion those pesky rainy days still manage to sneak their way in. Last Sunday was no exception – rainy, windy, and just really cold. So trying to think of an indoor activity we could do as a family, I came across the LEGOLAND Discovery Center in Yonkers...Read more! Over the past few years we've found ourselves in Asbury Park several times and are SUPER into it! 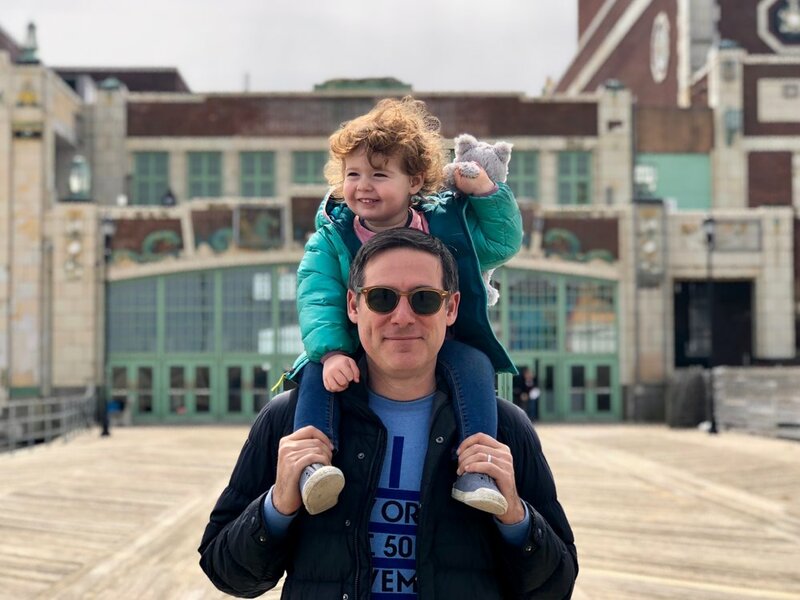 From beach vibes to small-town vibes to rock-and-roll show vibes, Asbury Park offers plenty of reasons to make the trek from NYC!..Read more! What little girl (or boy!) is not fascinated with mermaids?! Did you know you can see real live ones in Florida?! We headed to Tampa for a long weekend so that Sally could meet her new baby cousin, Maverick, and the family could all be together for Passover. While visiting family, we made sure to fit in time for one of our most favorite roadside attractions of all time, Weeki Wachee Springs State Park...Read more! If you are looking for chill vibes, look no further than the island of Jamaica! When planning our first trip there three years ago, I had wanted to stay away from the hustle and bustle of the classic tourist cities of Montego Bay or Ocho Rios. I'm sure they're great, but I was looking for a quiet and relaxing getaway, mon, not large cruise ships and party vibes. Which is why I did a little digging and was excited to discover the parish of Portland in the northeast part of the island. Is it relaxing? Let me put it this way – it's pure relaxation station!..Read more! The great thing about Philadelphia is that it's close enough for a day trip from NYC, but there are plenty of spots to explore to fill a full weekend (and more)! Alan was out of town, so Sally and I did a quick girls trip with our friends Lizzy and Daniella...Read more! While this is perhaps not the ideal time of year to make a trip to Shelter Island, it was a surprisingly lovely last minute getaway in the winter. 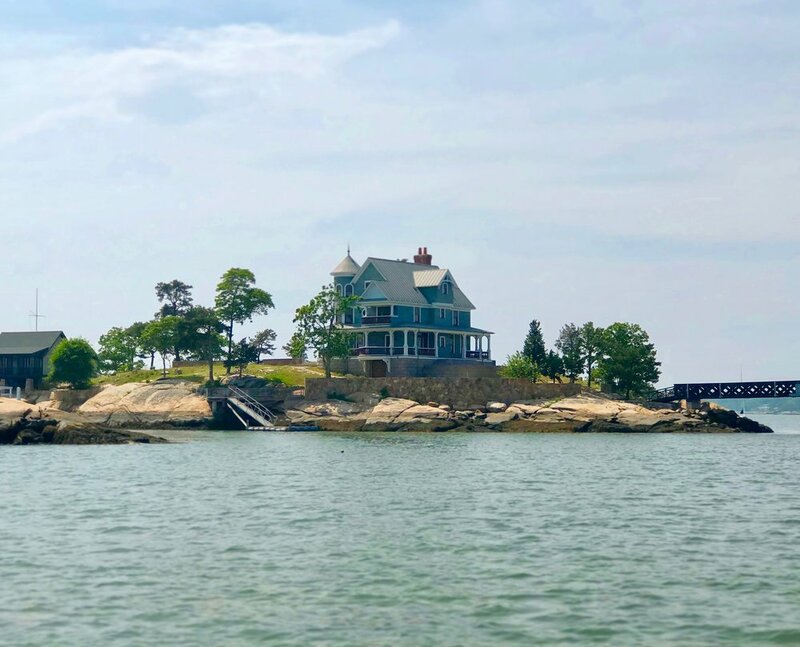 I hate sitting in traffic, so I'm a bit reluctant to head out to Long Island in the summer, but after this weekend's trip to Shelter Island I am going to have to brave it and head back in the warmer months when things are in full swing...Read more! The holidays are upon us, and this year we did a 2 for 1 family vacation! Normally, each year we go to Portland, Oregon to spend Christmas with my brother and his family. But this year we first went to Portland and from there went to Puerto Vallarta to celebrate Alan's mom's 70th birthday...Read more! Close enough to be a daytrip and fun enough to be a full weekend, Bear Mountain is a great convenient option for NYC families! We decided last minute to go up and spend one night there. We booked a room in one of the Stone Cottages at the Bear Mountain Inn...Read more! What's the next best thing after owning your own dream cabin? Visiting your friends' dream cabin! Our friends Colter and John Jackson have the most wonderful cabin perched right along side a lake in the Poconos...Read More! Making sure we are taking advantage of the leaf peeping window, we packed up and did a long weekend in Vermont and New Hampshire. To break up the drive to the White Mountains in NH, we did a stop over at a charming hotel in Vermont, the North Shire Lodge. Each room had a sliding glass door that opened onto an expansive lawn. There was a classic bucolic vista with the red barn over the hill in the distance...Read more! Storm King, a crowd favorite, is a MUST for NYC families. A world renowned outdoor sculpture park, visitors have access to impressive and MASSIVE sculptures and landscape art. If you haven't been, go immediately, and if you have been, go back! You can enjoy art AND let your kid run around like a maniac at the same time! Where else can you do this? !..Read more! We pulled up to our cottage at Creekside Cottages that I booked on airbnb. We had booked Cottage #2 and were delighted to find a screened in porch. It’s a cozy cottage (read: small) that has two bedrooms with a small living room and kitchen. The cottages have clearly been thoughtfully renovated and have a hip minimalist vibe...Read More! For years I've seen photos of the bluest lakes and snowcapped mountains, and almost most always, it's the Canadian Rockies! It's been on my bucket list for a while and when looking at where we would go for our big family trip this year, it perfectly fit the bill!..Read more! While Rye Playland is definitely a place to bring your children, sometimes you just want to ride the rides yourself, maaaaaan...Read More! One of our top favorite places to stay is Rip Van Winkle Motor Lodge. This place is THE BEST! We came across it a couple of years ago when looking for a place to stay near Hudson, NY. This was far more affordable than the places in Hudson, and only about a 10 minute drive! Plus it has the cabin vibes that The Harrises love so much...Read more! Do you like Westworld? You’ll love Wild West City! It’s a historically accurate replica of 1880s Dodge City, Kansas. Not only do you go back in time to the 1880s, you get to go back in time to the 1960s! We are suckers for mid-century charm, so this place was right up our alley! This is a true family run park that has been around since 1957 with the Stabile Family running the park since 1966. While some might call it outdated, I couldn't be more enthralled with feeling like I stumbled upon across a family gem...Read more! Alan's top Father's Day activity...camping! We decided to do a last minute camping trip, which in the summer, can be slim pickings if you want to be able to camp right by a lake in a state-run campground. However, I was able to find a private campground in the Catskills, Whip-O-Will. Prior to having Sally, we were generally not drawn to campgrounds with tons of kids, a pool, or a playground. As with most things in our lives, it all changed once Sally came along. Now, the more activities the better, and this place fit the bill...Read more! Lake Placid is very special for our family. It's technically where The Harrises started! We were married at Whiteface Lodge on May 24, 2015 and we have gone back to Whiteface the last two years to celebrate our anniversary. It's in my top 3 places to stay EVER!..Read more! You guys, Grounds for Sculpture is totally magical/bizarre/beautiful/inspiring/surreal/and just plain fun! I've never tried acid, but I feel like this would be a great place to go on acid, or at least, pot brownies. First off, here's what this crazy place is...It's a 42-acre contemporary outdoor sculpture park with so many different nooks and crannies that you get all sorts of turned around....Read more! When itching to get out of town, I sometimes look in a book that I have of Historic Hotels of America to see if there are any within a weekend trip away from home. I had never been to Providence before and was able to book a night at the Providence Biltmore Hotel in downtown. It's in a perfect location for exploring downtown and walking over to Rhode Island School of Design...Read more! Another weekend of looking for places to stay in my Historic Hotels of America book led us to Skytop Lodge in the Poconos. It's one of those grand resorts that has TONS of activities (hiking, golf, a lake for swimming, tennis, indoor and outdoor pools, fishing, a spa, arcade games, and I'm sure the list continues)...Read more! Tulum! Not just for beautiful hip people on yoga retreats. It's also a perfect spot for a family vacation! Tulum really does have it all – the warm gentle sea, gorgeous boutique hotels, delicious food, and tons of activities...Read more! I'm originally from the D.C. suburbs, and it's where my dad still lives, which not only makes it an easy weekend getaway for our family (it's only 4-5 hours down I-95), but also a cheap one! We head down to my dad's house several times a year, but the summer is by far my favorite time to visit to take advantage of my dad's pool and his Segways!..Read more! 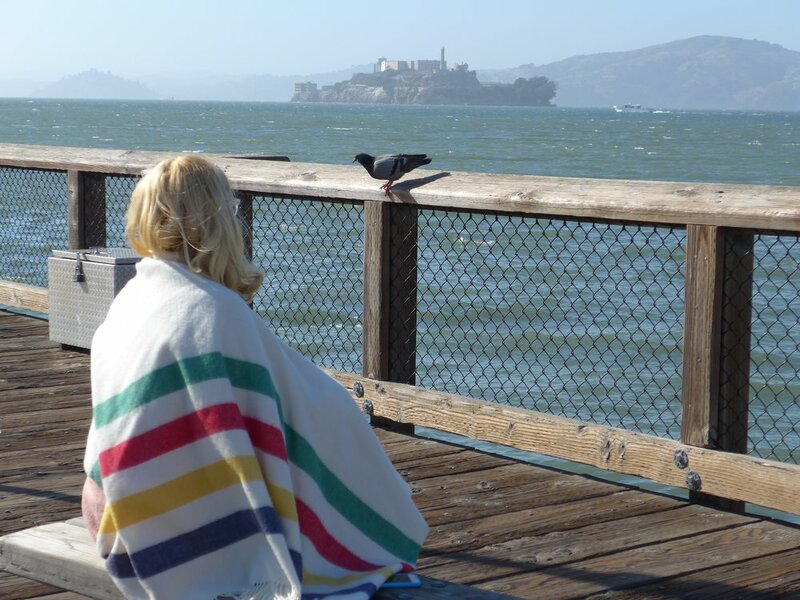 As the end of my maternity leave was quickly sneaking up on us, Alan and I decided to take a quick trip to the San Francisco Bay Area to visit Alan's family and our friend Erin before heading back to work...Read more! For Alan's first Father's Day we wanted to hit the road and check out some places that we haven't yet been to in the Catskills...Read more! This was our first plane trip with Sally (she was only 2-months-old)! Normally, I don't think I would have taken her on a plane so young, but a friends' wedding forced us out of our Brooklyn (and small weekend trips) comfort zone and we decided to take Sally on her first true vacation...Read more! Our very first trip with Sally!!! With Sally a few weeks old, cabin fever setting in, we were itching to get out on the road. I knew we had a larger trip to Arizona coming up in a month and felt that I needed to practice traveling/packing before setting off for the airport. I thought Mystic, Connecticut would be an easy trip with Sally. My number one requirement was that we found a place to stay with a hot tub. I needed to soak those early motherhood anxieties...Read more! 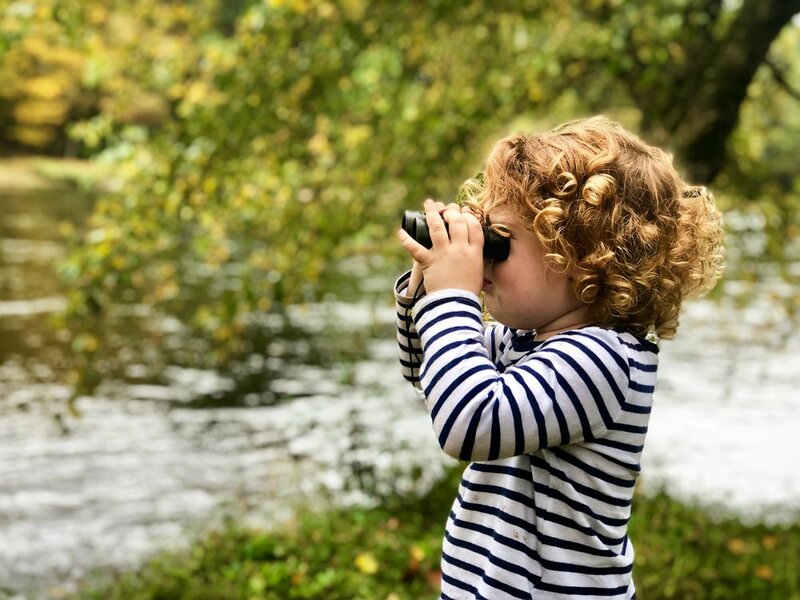 Harris Family Fieldnotes follows the 'toddler-friendly' daytrips, weekend adventures, and vacations of Alan, Ryan, and Sally Harris outside of NYC and beyond! Learn more!